Years in development, Microbe-Lift® Sludge Away speeds up the biological removal of slow to degrade organic waste matter from aquatic pond bottoms that may become toxic to fish and plant life. As organic solids accumulate on the pond bottom they begin to break down, releasing toxic gasses to the surrounding environment. These gaseous byproducts endanger fish, marine life and plants. 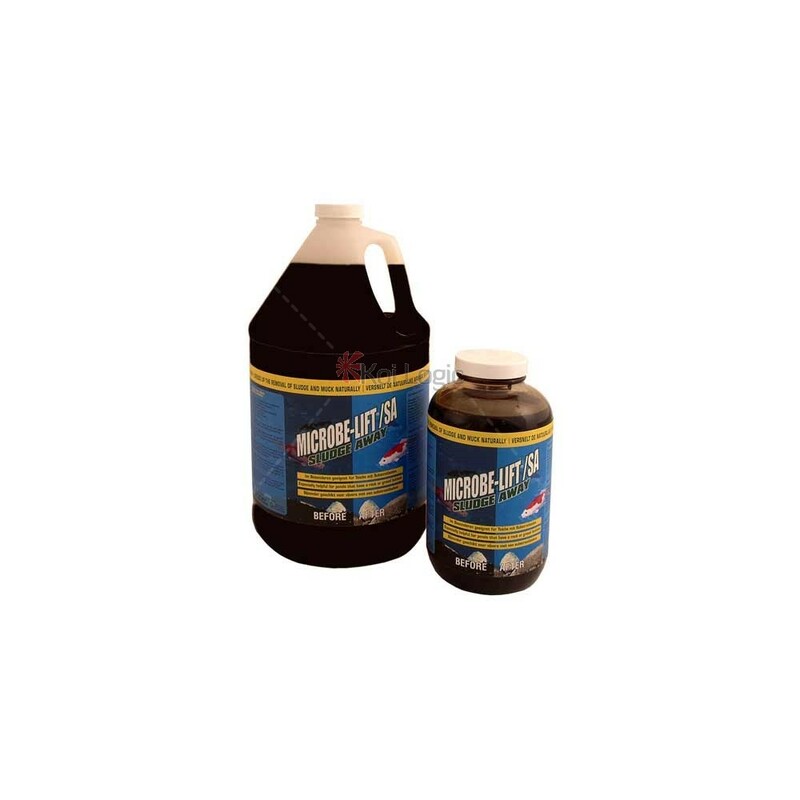 Microbe-Lift® Sludge Away removes bottom organic sludge and muck, reducing or eliminating the potential harmful gaseous compounds, and helps to clarify your pond water at the same time. Especially helpful for ponds that have a rock or gravel bottom and where vacuuming is impractical. Works faster at warm water temperatures, however may be used effectively at any temperature year-round. Provides a natural sludge and muck removal. 80% faster than competitive products. 100 ml per 1250 litres of pond water. 100 ml per 1250 litres of pond water, then 100 ml per 1250 litres of pond water once a week for next 4 weeks.